Oman Shipping Company (OSC) has taken delivery of one of the world’s most advanced fuel-efficient LNG carriers – the Adam LNG. The 162,000 cu m capacity vessel was built by Hyundai Heavy Industries (HHI) in Ulsan, South Korea, and will operate worldwide with 25 crew including four Omani cadets. OSC acting chief executive officer Tarik Al Junaidi said the carrier is a powerful demonstration of the Muscat-based company’s “driving commitment to constant innovation” in its fleet which now numbers 43 vessels and is one of the biggest in the Gulf. He said the vessel will be offered to oil and gas companies worldwide. 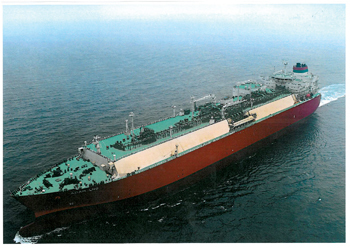 Al Junaidi said key innovations on the Adam LNG included its propulsion system and the design of its aft hull form. OSC chief operating officer David Stockley said another prime benefit OSC can offer customers is in-house management through Oman Ship Management Company (OSMC), a fully-owned subsidiary of OSC. He said the Adam LNG will be managed by OSMC. Al Junaidi said a key dimension to OSC’s growth plans is the development of the Port of Duqm on the South West coast of the Arabian Sea. 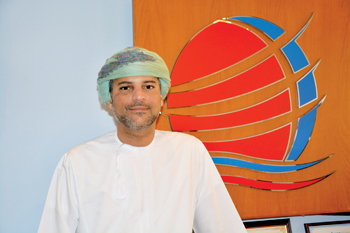 “Maritime has a huge role to play in the future of Oman,” he said. “Massive investment, energy and effort is being ploughed into the sector to make Oman a focal point of international maritime trade. OSC is central to this ambition together with the ports of Sohar and Salalah. Of particular interest to OSC is the growing emergence of the Port of Duqm as a world class imports and exports hub. Duqm’s geographical position on the South West coast thrusts it into pole position for Asia to Europe trade routes.